SAINT-AMANT, ANNETTE (Frémont) (baptized Marie-Jeanne-Annie), teacher and journalist; b. 1 July 1892 in L’Avenir, Que., daughter of Joseph-Charles Saint-Amant and Marie Dionne; m. 26 Dec. 1918 Donatien Frémont* in Prince Albert, Sask., and they had one daughter; d. 4 Aug. 1928 in Winnipeg and was buried in the cemetery of the cathedral of St Boniface, Man. Annette Saint-Amant was the granddaughter and daughter of notaries. A native of Deschambault, Lower Canada, her father had moved to L’Avenir, where he began practising his profession in 1884; he was also a writer and the first historiographer of the eastern part of Drummond county. Annette was educated at the convent of the Sisters of the Assumption of the Blessed Virgin Mary in L’Avenir, and then continued her studies with the Ursulines at Quebec in 1907. Eager to obtain a teaching certificate, she enrolled in the École Normale Laval at Quebec as a residential student with the Ursulines in 1908. The following year she obtained an academic school diploma in French and a model school diploma in English, with great distinction. Unfortunately, for reasons of health she had to enter the sanatorium in Gabriels, N.Y. During her convalescence she occasionally wrote for a number of Montreal newspapers, including Le Devoir. She returned to her home province in 1912. That year Abbé Louis-Pierre Gravel, the founder of Gravelbourg, Sask., was desperately seeking teachers for the children of the settlers who had moved into this part of the prairies. Annette and her elder sister Maria answered the call. In August they took the “big coaches” to western Canada, where they were to teach in a rural school near Gravelbourg. They not only devoted themselves to their pupils, but also worked tirelessly in French Canadian organizations, busying themselves with theatre, running competitions, putting on shows, and writing for newspapers. It was in Saskatchewan that Annette Saint-Amant would meet Donatien Frémont. A native of France, Frémont had arrived in Montreal in 1904 and after 1916 worked in Prince Albert as assistant editor of Le Patriote de l’Ouest. 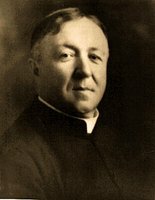 The editor-in-chief at the time, Oblate father Achille Auclair, had long yearned to have a women’s page in his weekly. After reading some articles by Annette Saint-Amant, he asked Frémont to meet her and persuade her to become editor of this page. On 8 May 1918 Auclair announced that she would be responsible for the column “En famille.” “Inspired first of all by patriotic and religious motives,” as she explains, “the page will nevertheless be varied and practical” and will not “confine itself to the four walls of the home.” On 15 May she also began writing a new column, entitled “Le coin des enfants.” As time went by, a deep friendship developed between Donatien and Annette, which was consecrated by the bonds of marriage on 26 Dec. 1918. Their only child, Marie, was born on 2 Dec. 1919. Annette Frémont died on 4 Aug. 1928, at the age of 36, after a long illness. The obituary in La Liberté noted that she “possessed to a rare degree the innate gift of being able to offer a useful piece of advice, an original idea, [or] a helpful opinion, in an attractive and natural way.” The following year, Donatien collected 37 of her columns in a volume entitled L’art d’être heureuse, for which Canon Lionel Groulx* wrote the preface. For ten years, Annette Frémont had been an important voice for French-speaking women and children in western Canada. She was one of the three or four best women writers of her time. Her husband died in 1967. Annette Saint-Amant is the author of L’art d’être heureuse (Montréal, 1929; réimpr., Winnipeg, 1931). ANQ-MBF, CE403-S15, 1er juill. 1892. ANQ-Q, ZQ137, dossiers 359–62. Roman Catholic Chancery Office (Prince Albert, Sask. ), Sacred Heart Cathedral, RBMB, 26 Dec. 1918. A.-F. Auclair, “En famille,” Le Patriote de l’Ouest (Prince Albert), 8 mai 1918. La Liberté (Saint-Boniface [Winnipeg]), 1920–26, 8 août 1928, juill. 1993 (special issue). Hélène Chaput, Donatien Frémont: journaliste de l’Ouest canadien (Saint-Boniface, 1977). École Normale Laval, Annuaire (Québec), 1908–10. Nadia Fahmy-Eid, “La presse féminine au Québec (1890–1920): une pratique culturelle et politique ambivalente,” in Femmes et politique, sous la direction de Yolande Cohen (Montréal, 1981), 101–15. Robert Rumilly, Chefs de file (Montréal, 1934), 113–21. J.-C. Saint-Amant, L’Avenir, townships de Durham et de Wickham; notes historiques et traditionnelles, avec précis historique des autres townships du comté de Drummond (Arthabaskaville [Victoriaville], Qué., 1896). Monique Hébert, “SAINT-AMANT, ANNETTE (Frémont) (baptized Marie-Jeanne-Annie),” in Dictionary of Canadian Biography, vol. 15, University of Toronto/Université Laval, 2003–, accessed April 18, 2019, http://www.biographi.ca/en/bio/saint_amant_annette_15E.html.